With a Bachelor of Fine Arts degree from Parsons School of Design, Sora began her career as a fashion designer in New York, Paris, and London. Her visionary and finely tuned aesthetic sensibility flourished in her evolving career as the Visual Director of Neiman Marcus having honed her aesthetic sensibilities in Event Design and Visual Presentation. Her genuine passion for all things beautiful has nurtured her coveted taste which spans cultures and continents, infusing fashion, design, interiors with global style. Today Sora is a highly sought after Creative Consultant for renowned luxury brands with a loyal impressive following of discerning international clients, all who value Sora's open frank manner as much as her unique incomparable style. With sophistication and refinement cultivated from her Asian and European background, Sora's eclectic style is her tour de force talent to designing and creating memorable events and environments for her adored and adoring clients. With over 20 years experience, Anthony Brown quickly rose through the ranks distinguishing himself managing and designing for the industry's most prominent floral design firms. 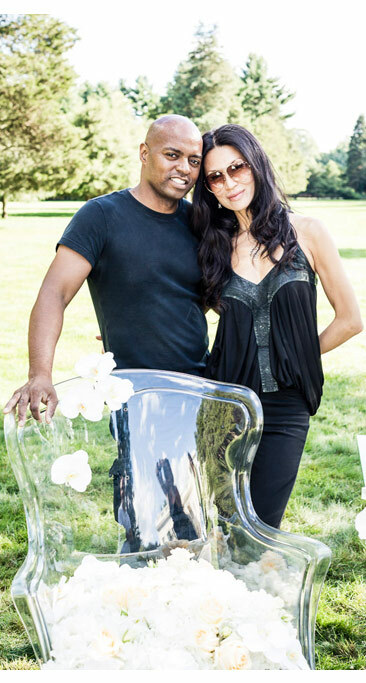 Anthony has worked with the likes of Martha Stewart, Preston Bailey and Antony Todd to name a few. Under the tutorage of such industry giants, he honed his design skills and mastered the art of floral design bringing forth a fresh poetic design aesthetic uniquely evident in the artistry of his work today. His innovative designs continue to evoke emotion, while his enthusiasm for detail, sensibility to color and texture lends to his ability to translate concepts into a floral feast for the eyes. Steadfast in his belief that in the world of design, the possibilities are endless, Anthony's philosophy is that there's always a creative solution for any given challenge that presents itself.